Sky Vegas Casino is no longer available . Click here for alternative casinos . Sky Vegas Casino hits all the right notes starting with their large breadth of casino games to their helpful customer service staff. This casino has it all. Sky Vegas Casino Bonuses start off with a bang and continue to tantalize with lucrative weekly promotions. In addition, their supportive staff makes playing easy-peasy. Sky Vegas Casino really stands out for its sheer variety of games. Just a quick tour through the casino demonstrates the large selection of different games available. Players can choose from a list of Roulette games including High Stakes, Low Stakes, Multi-ball, and everything in between. The casino also has many choices of Blackjack, Slots, Instant Win Games, and Table Games from Williams Interactive. Outside of the casino, Sky Vegas also has sites tailored for Poker, Sports Betting, and Bingo. Many gamblers love the option of experiencing the real casino right from their computer screens. The Sky Vegas Live Casino streams actual footage of dealers so players can experience the thrill of Live Blackjack, Live Roulette, Live Baccarat, and Live Casino Hold’em. Sky Vegas Casino also includes a Mobile Casino so you can play on the go! Sky Vegas Casino also has something I’ve never seen before, a Twitter account devoted to helping customers work out the kinks while playing. The Sky Vegas Casino Welcome Bonus gives a warm welcome to new players. Right after signing up, first time players receive £10 free to play at the casino. Make sure you check with the casino because they do not allow players to use this “free money” on all of the Sky Vegas Casino games. Now, once you have signed up, Sky Vegas Casino gives a 200% deposit bonus of up to £1000. Again make sure to check with the terms and conditions because different games reward a greater number of bonuses. 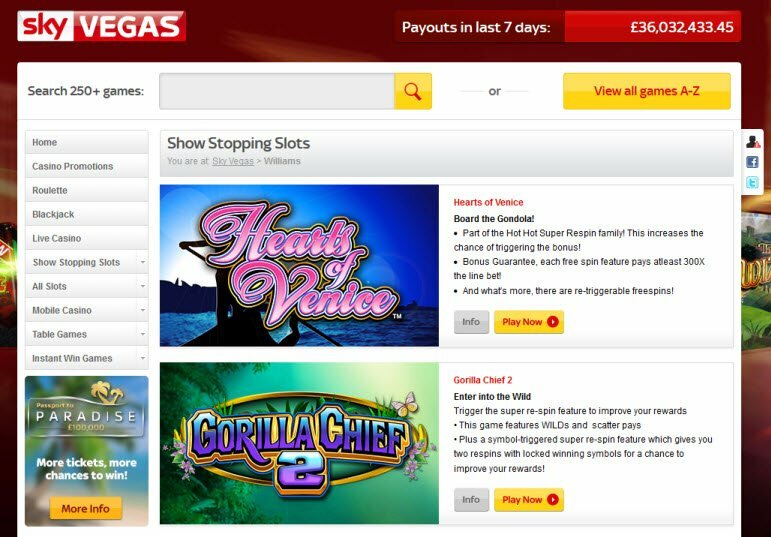 Sky Vegas Casino Bonuses stand out by awarding unique, exciting gifts. For example, they award a lucky player a trip to paradise worth £10,000. 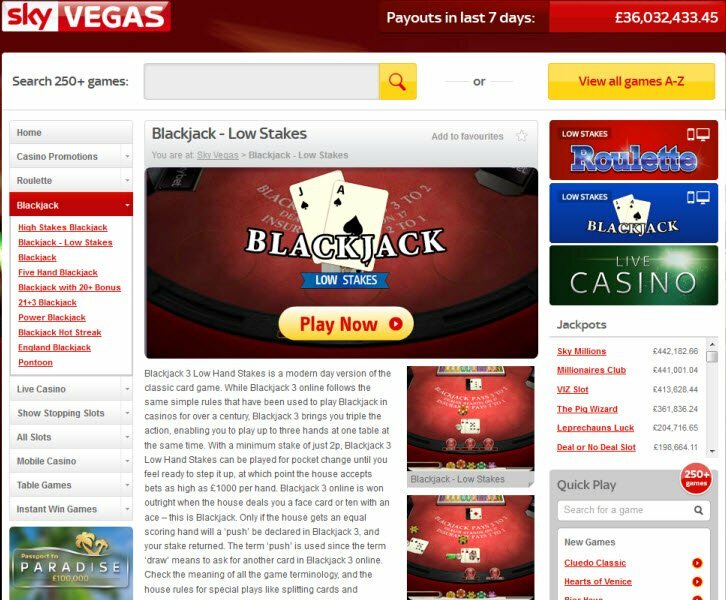 In addition, the gambling site hosts £20,000 in weekly promotion prizes. Among these includes a £500 prize to 25 players at random each week. Sky Vegas Casino banking allows players making deposits to do so online as well as through their mobile phones. Deposits must exceed £5 GBP or the equivalent amount in other currencies. Once the bank authorizes the deposits, players can start gambling immediately. Sky Vegas Casino accepts all the big names in casino banking including (but not limited to) PayPal, Visa, Neteller, and Skrill. When cashing out, players can expect their winnings within 2 to 5 working days or within 1 day if using an e-Wallet. 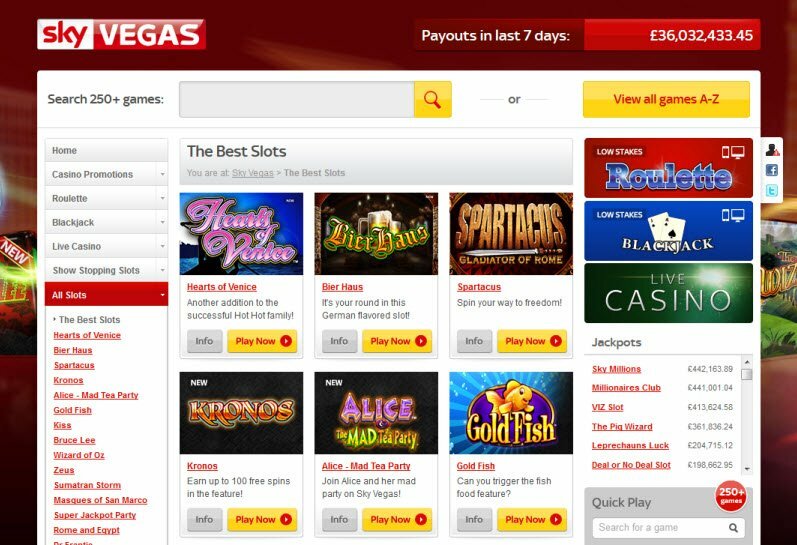 Sky Vegas Casino has a really great Help and Support section of their website. First of all, players can navigate through their FAQ section or enter a question into the Search box. If this doesn’t satisfy, then the casino also offers support via Chat, Email, and Phone. Sky Vegas Casino also has something I’ve never seen before, a Twitter account devoted to helping customers work out the kinks while playing.